The 29-year-old minister of Montgomery, Alabama's First Baptist Church, Ralph Abernathy took a leading role in the 1955-56 bus boycott in that city, and had his home and church bombed as a result. Called "the best friend that I have in the world" by fellow minister and activist Martin Luther King, Jr., Abernathy traveled with King as a representative of the Southern Christian Leadership Conference and was jailed 19 times between 1961 and 1965. After King's 1968 assassination, Abernathy led the Poor People's Campaign and ran the SCLC until 1977. The only three-time heavyweight champion of the world, Cassius Clay grew up in segregated Louisville and was deeply affected by the murder of Emmett Till. Clay became a boxer and suffered the indignation of winning an Olympic gold medal for the United States in 1960 and being refused restaurant service upon his return home. After defeating Sonny Liston in 1964, Clay announced that he had joined the Nation of Islam and was renamed Muhammad Ali by Elijah Muhammad. Ali famously declared "I ain't got no quarrel with the Viet Cong" and refused induction into the Army in 1967, for which he received a five-year prison sentence, but the Supreme Court later overturned the conviction. Ali retired from boxing in 1981 and lit the Olympic flame at Atlanta's 1996 Olympics. After the first student sit-ins in February 1960, a former Harlem organizer turned Southern Christian Leadership Conferenceexecutive director, Ella Baker, worked to develop the isolated incident into a broader series of protests. Unlike some of her colleagues, Baker was enthusiastic about the growing student movement and leaders like John Lewis and Diane Nash. 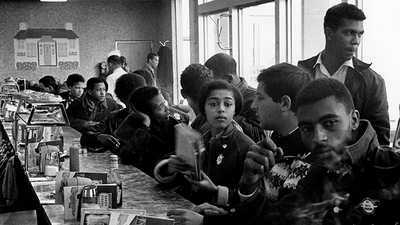 She organized the April 1960 conference that led to the formation of theStudent Nonviolent Coordinating Committee and continued to serve as an advisor to that group. Born Everett Leroy Jones during the Great Depression in Newark, New Jersey, Jones changed his name a few times. In college he changed the spelling of his middle name to mirror the French word for king, "LeRoi." Later, to symbolize his political and spiritual transformations, an Islamic minister renamed LeRoi Jones "Ameer Barakat," meaning "Blessed Prince" in Arabic. Subsequently, Maulana Karenga, founder of the Kwanzaa holiday, renamed him Amiri Baraka. One of the African American writers who galvanized a second black Renaissance — the Black Arts Movement of the 1960s — the prolific Baraka produced poems, plays, essays, fiction and music criticism. His writings reflected a quest for identity and individuality that resonated with a generation of African Americans. In the Black Power era, he was seen as a rebel artist, the "Malcolm X of literature." Baraka declared "It's Nation Time" in his poetry and helped organize the National Black Political Convention in 1972. Selected as New Jersey's poet laureate in 2002, Baraka was criticized for a poem about the terrorist attacks on the World Trade Center entitled "Somebody Blew Up America." Julian Bond's mother was a professional librarian, and his father was the first black president of Lincoln University before becoming the dean of the School of Education at Atlanta University. Bond was attending Atlanta's Morehouse College when the student sit-inmovement began in February 1960. He and a group of friends formed the Committee on Appeal for Human Rights and held their first sit-in a month later. Bond later became SNCC's communications director, and a voter registration organizer. Bond was elected to the Georgia House of Representatives in 1965, but that body voted not to seat him because of his activism against the war in Vietnam. Bond would be reelected twice more before the Supreme Court ruled that Georgia violated his rights in denying him the seat. In 1971 Bond became the first president of the Southern Poverty Law Center. In 1974 he won a seat in the Georgia Senate. He lost the 1986 Democratic primary for a Georgia Congressional seat to fellow civil rights activist John Lewis. In 1998 Bond was elected chair of the NAACP. The first woman to run what had been a male-dominated Black Panther Party, Elaine Brown moved to Los Angeles from her native Philadelphia in 1965 and became involved with radical politics, joining the Black Panthers in 1967 and becoming Deputy Minister of Information in the Los Angeles branch. 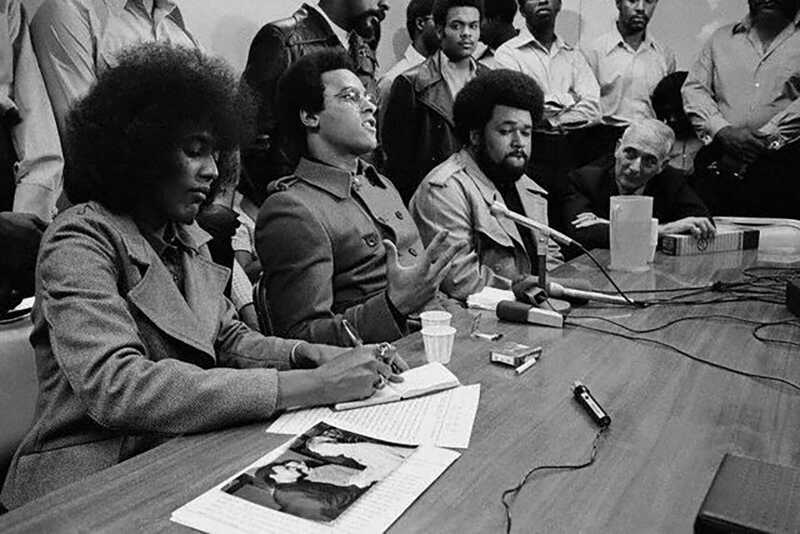 Brown was impressed by the Panthers' presentation of powerful, responsible black men, and she also welcomed the opportunity to be a soldier in an army of "socialist revolution." 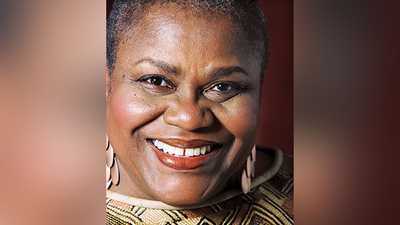 In 1974 she took over the reins of the organization from Bobby Seale; Brown left the United States three years later and lived in France for 20 years, eventually returning to America in 1996. In the fall of 1955, half-brothers Roy Bryant and J. W. Milam were put on trial for the murder of a black fourteen-year-old named Emmett Till who had allegedly flirted with Bryant's wife. The jury acquitted the two white men on the grounds that Till's mutilated body could not be positively identified. In a later, paid interview with Look Magazine, the two Mississippians admitted to the murder, claiming that they had only intended to scare the boy but because the stuttering teenager would not repent, they had to kill him. "Well, what else could we do?" Milam told his interviewer. A boycott of their stores by the black community eventually drove Bryant and Milam out of business. Angela Davis was born in Birmingham, Alabama, and educated in New York, Boston, Paris and Frankfurt. When she was hired by the UCLA philosophy department, the university's Board of Regents, including Governor Ronald Reagan, had her fired for membership in the Communist Party. Although she eventually got her job back, the publicity brought her to the attention of the Soledad Brothers, three African American prisoners accused of murdering a white guard at California's Soledad Prison. Davis was working on the Soledad Brothers case on August 7, 1970 when a brother of one of the prisoners assaulted a courthouse; four men died in a shootout. Davis became a fugitive, sought for supplying weapons for the courthouse attack. In the meantime, George Jackson, one of the Soledad Brothers, was shot and killed in prison. His death became one of the events that precipitated the riots at Attica. Davis was eventually tried and acquitted. She continues to teach, speak publicly, and work on prison reform. Former general Dwight D. Eisenhower was elected president in 1952 and held office during the years when the civil rights movement achieved its first milestones. When President Eisenhower first heard the Supreme Court's Brown v. Board of Education decision, he worried that school integration would lead to social disintegration. However, Eisenhower was keenly aware of the importance of the race question for the international image of America in the midst of a Cold Waragainst Soviet Communism. Highly publicized lynchings and the murder of Emmett Till were internationally embarrassing, as was the Little Rock crisis. Despite his reservations about the Warren Court's decision in Brown, when Arkansas governor Orval Faubus defied federal court orders and summoned the National Guard to prevent the black students dubbed the "Little Rock Nine" from integrating the city's Central High School, Eisenhower ordered federal paratroopers in to safeguard the students. "Mob rule," he said in a televised address, "cannot be allowed to override the decisions of our courts." The NAACP's Mississippi field representative Medgar Evers led the search for black witnesses to testify in the Emmett Till murder trial. He later assisted James Meredith's efforts to enroll at the University of Mississippi in 1962. On June 12, 1963, shortly after President John Kennedy had delivered his first speech on civil rights, Evers was gunned down outside his home by white supremacist Byron de la Beckwith. Evers' widow Myrlie, who had served as his secretary, went on to become the first woman chair of the NAACP. She also urged Mississippi authorities to retry Beckwith, whose first two trials had ended in hung juries. 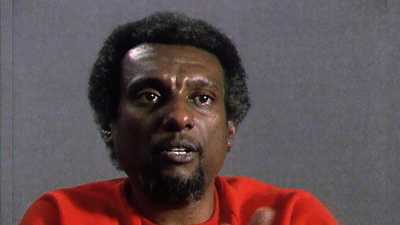 Beckwith was finally convicted of murder in 1994 and died in prison. Fannie Lou Hamer was the youngest of 20 children, who became sharecroppers like their parents. Her grandparents had been slaves. Hamer's mother fashioned a black doll for her when she was young, so that she would develop self-confidence and pride despite her poor surroundings. Her mother also taught her spiritual strength, including the power of song. In 1961 she was sterilized without her knowledge, as part of Mississippi's systematic effort to reduce the poor black population. Soon after, the Student Nonviolent Coordinating Committee visited Hamer's church; she was a 44-year-old Delta field hand who had become a plantation time-keeper. In 1962, Hamer was arrested when she tried to register to vote. According to her biographer, the costs of Hamer's initial activism were severe. She was evicted, jailed, and beaten, suffering kidney damage and partial blindness. As SNCC's Mississippi field secretary, she became vice chairman of the Mississippi Freedom Democratic Party and received national attention during its attempt to unseat the all-white Mississippi delegation at the 1964 Democratic Convention. Although the party's efforts were ultimately unsuccessful, Hamer riveted television audiences with her testimony. "If the Freedom Democratic Party is not seated now," she said, "I question America." Fannie Lou Hamer would continue to fight racism and poverty for the rest of her life. The great-grandson of slaves, South Carolina native Jesse Jackson became involved in sit-ins while in college and joined the SCLC in 1965. In 1966, Martin Luther King, Jr. took the civil rights movement north with a campaign dubbed the Chicago Freedom Movement. It aimed to raise awareness of northern ghettos and end housing discrimination. Jackson led activists in Chicago, heading Operation Breadbasket, which organized boycotts of businesses that discriminated against African Americans. Jackson was ordained as a Baptist minister in 1968, and he left the SCLC and formed his own economic justice organization, Operation PUSH, in 1971. He helped register voters during the campaign that saw Harold Washington elected Chicago's first African American mayor in 1983. Jackson ran for president in 1984 and 1988 as head of the Rainbow Coalition, receiving millions of votes in the Democratic primaries. The son of a prominent Atlanta pastor, Maynard Jackson became the city's vice mayor in 1969 and won the top position four years later when he was just 35 years old. The first African American mayor of a major Southern city, Jackson promised to create a "people's administration" and increase economic opportunity for all. To that end he instituted affirmative action programs that upped the number of black municipal employees and the percentage of city contracts that went to black-owned businesses. Jackson faced resistance from the white business community but the city saw unprecedented economic and civic growth during his tenure. He was twice re-elected and helped bring the Olympics to Atlanta in 1996. Lyndon Johnson was a white Southerner who took up the civil rights cause shortly after being elevated to president when his predecessor was shot. Five days after John F. Kennedy's 1963 assassination, Johnson urged passage of Kennedy's civil rights bill, and it became law on July 2, 1964. Content to wait before introducing more such legislation, Johnson was prompted to action by further civil rights demonstrations, particularly the televised "Bloody Sunday" incident in Selma, Alabama. Quoting the anthem of the movement, "We Shall Overcome", in a March 1965 televised address to Congress, Johnson presented a Voting Rights Act that would become law that August. But the Vietnam war eroded Johnson's support, and he decided not to seek reelection in 1968. Above all, President Johnson clearly understood there would be a political backlash to his civil rights initiatives, but he also backed civil rights and the domestic Great Society programs which form a major part of his legacy. During the 1960 presidential campaign, Democratic candidate and Massachusetts Senator John F. Kennedy called Coretta Scott King after learning of her husband Martin's imprisonment for leading a nonviolent civil rights protest. Many black voters, who had voted Republican for almost a century, since Reconstructiondays, subsequently shifted their support to Kennedy, a Democrat, helping make him the 35th president. In contrast to the Eisenhower years, blacks increasingly looked to the White House for leadership from the Kennedy administration. However, once in office, Kennedy was slow to support the civil rights movement. It would take the dramatic and televised violence against the Freedom Riders in 1961 and attempts to prevent James Meredith from integrating the University of Mississippi to spur federal intervention. In June 1963, Kennedy delivered a televised address on civil rights and subsequently introduced the first sweeping legislation on the subject since Reconstruction. He was assassinated that November, but his successor Lyndon Johnson saw the bill through to passage. President John F. Kennedy's younger brother, who served as his attorney general, shared the chief executive's hesitation to act in the civil rights arena. But savage violence against the Freedom Riders began to change Robert Kennedy's mind. Kennedy ordered federal marshals to intervene during James Meredith's integration of the University of Mississippi in 1962, and the attorney general also urged the president to submit a forceful federal civil rights bill in 1963. After his brother's death, Robert Kennedy became a senator from New York and anti-poverty advocate. A presidential candidate in 1968, he broke the news of Martin Luther King's assassination to the crowd at an Indianapolis campaign event and was himself gunned down just two months later. The son of an Atlanta preacher, Martin Luther King, Jr. rose to national attention when, as a 26-year-old minister just starting out in Montgomery, Alabama, he helped lead the bus boycottthat initiated the modern civil rights movement. In 1957 King and some associates formed the Southern Christian Leadership Conference, and despite numerous arrests and threats, he remained committed to nonviolent protest as the means of effecting social change. King helped the United States re-envision itself as an interracial democracy when he delivered the famous "I Have a Dream" speech at 1963's March on Washington. Later that decade he broadened his focus to include economic justice, Northern ghettos, and opposition to the Vietnam war. King was assassinated by James Earl Ray on April 4 in Memphis, Tennessee, during the tumultuous year of 1968. In 1986 his birthday became a national holiday, making him the first non-president to be so honored. As a young seminarian in Nashville, John Lewis attended a workshop on nonviolence and soon joined other students in conducting sit-ins. One of the original Freedom Riders in 1961, he helped create the Student Nonviolent Coordinating Committee and spoke as its representative at the March on Washington. Lewis also was a key organizer of 1964's Freedom Summer in Mississippi. Lewis was beaten by police during the 1965 "Bloody Sunday" march in Selma. He left SNCC the following year because of what he saw as its increasing militancy. He was elected to Congress in 1986, defeating fellow activist Julian Bond in the Democratic primary, and continues to serve as a representative from Georgia.